X: A Novel made the NBA longlist and is one of five YA novels to receive six stars this year. (For reference, the other titles are: Challenger Deep, The Tightrope Walkers, Goodbye Stranger, and The Boys Who Challenged Hitler. All except Goodbye Stranger were on our initial list, and we’re likely to review Rebecca Stead’s latest because of its crossover appeal.) 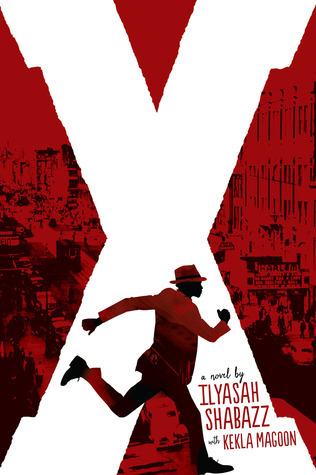 The praise has been effusive for this fictional account of Malcolm X’s life as a teenager. Words such as, “powerful” and “important” have been used liberally and appropriately as X arrives at a time when the Black Lives Matter movement is a fixture in the national conversation and we strive to honestly examine race and racism in our country.